Travel responsibly and stay in one of our exclusive eco lodges Costa Rica. Here are some of the most spectacular locations in Costa Rica. Help to preserve the precious tropical vegetation and local communities around you. While still enjoying an excellent standard of service and comfort. We will happily inform you of all of their practices in sustainable living. Also, a unique travel experience is embracing nature and conservation, you will have the perfect blend of relaxation and adventure. Hidden away in the rainforest, overlooking the ocean, or high on a mountainside. Too, staying in a Sustainable Eco Lodge in Costa Rica is unique and extraordinary. The era of agricultural and cattle farming expansion in Costa Rica nearly wiped out the once abundant jungles. Not too long ago they covered every corner of its territory. Since its beginning as a colony, the country’s natural resources have been abused. Fortunately for the man, the paradigm of having to destroy nature to control it has taken a shift for the better. In Costa Rica, this happened during the late 80’s. When the world began to admire the new glory and bliss of Costa Rica the travelers also started to notice the nation’s natural wonders and started coming in growing numbers. A new reasoning emerged that led to public policy changes. All in all, a refreshing new primary product for a struggling economy: Eco-Tourism. Firstly, a jungle lodge in Northern Costa Rica that recognized the the beauty and importance of preserving one of the last fibers that hold together the Mesoamerican Biological Corridor. Maquenque Eco Lodge sits on a 60 hectares private conservation project but is hyping conservation efforts towards 60000 hectares known as Maquenque National Wildlife Refuge. Secondly, 12 one bedroom Balinese style villas on a small private reserve near Uvita dedicated to bring comfort to couples looking for some nature with their accommodations. 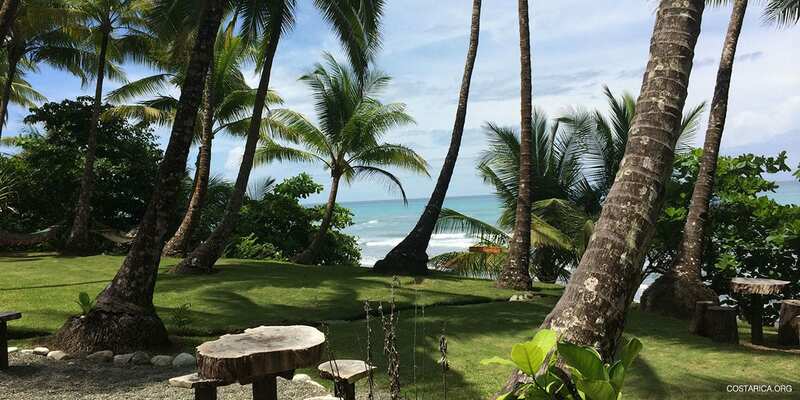 Romantic interior designs and architecture in their villas add to a natural setting with incredible views towards the ocean and Marino Ballena National Park. Thirdly, a jungle lodge in Costa Rica that takes pride in its proximity to Tortuguero National Park and the jungle it finds itself immersed in. Evergreen Lodge has twenty six jungle style rooms, an on site canopy tour, a bar, a spa, delicious fresh buffet meals, and a refreshing swimming pool for Tortuguero’s hot days. Lastly, part of a conservation project that protects over 700 acres of pristine forests along the Pacuare River. The Pacuare River is Costa Rica’s prime destination for whitewater rafting and the sustainability the Pacuare Lodge has to offer their patrons along the water is quite impressive. It’s important to know that rafting is not necessary to reach this jungle lodge in Costa Rica. It should be. It’s very fortuitous this country has found the perfect tool to protect and promote its natural resources, it’s called jungle lodges in Costa Rica.